A TOOWOOMBA home worth more than $4 million has received a gong for being one of Australia's best designed houses. 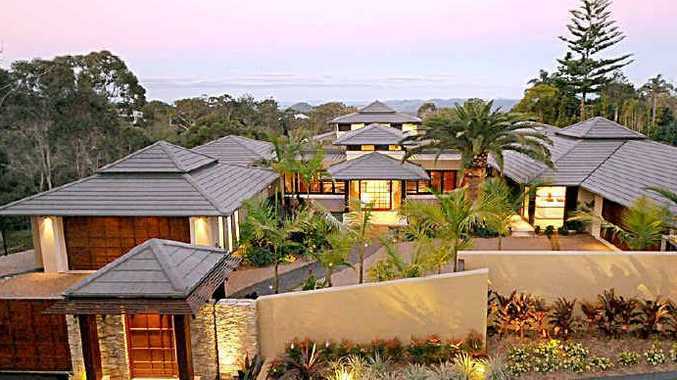 Millenium Homes Queensland received the award in the category homes worth more than $2 million from Masters Builders for its design of the Mauna View mansion in Middle Ridge. Millenium's Tim Taylor, who designed the home with architect Paul Clout, said the design drew on influences from tropical Queensland, Asia and the South Pacific. The Mauna View mansion spreads across three wings, linked by a series of floor-to-ceiling curved glass windows and a sandstone bridge crossing two ponds that run through the house. The intricate design also includes a 25-metre curved pool, which is positioned to act as a retaining wall, five bedrooms, three bathrooms, two powder rooms and a deck with views of the Lockyer Valley. The fall of the site required the mansion to be supported by 148 concrete piers, all running eight metres deep. Mr Taylor said he thought the home had a strong chance to take out the award for Queensland homes, but never expected to win the nation-wide gong. The home's owner, who wished to remain anonymous, said coming home from work was like walking into a resort.